A reminder that the previous Roundup, June 2011/1, can be found here. All earlier Roundups are listed here. The arrival of Hyperions fine new recording of the music of Herbert Howells and his inclusion in a reissue on their budget Helios label of music for Evensong from St Pauls has given me an opportunity (if any excuse were needed) to make him Composer of the Month. There is plenty of Howellss music on CD and available as a download, but some fine recordings have already succumbed to the deletions axe or are available only to special order. Thankfully, many of these are still available in decent quality sound as downloads at a reasonable price and Ive tried to pick my way through the best of them. As I was closing this Roundup, I noted that Hyperions 2-for-1 Dyad recordings of Howellss music, sung by St Pauls Cathedral Choir under Christopher Dearnley, is languishing in their please buy me half-price waifs and strays. (CDD22038). I shant have time to include it in this Roundup, but Ill come back to it next month. This has to be one of the best bargains around: all seven Sibelius Symphonies, including the original and definitive versions of the Fifth, plus the Violin Concerto, Lemminkäinen Suite (complete, not just The Swan of Tuonela), Karelia Suite, etc., in mostly A-class performances, some at A*, all for just £5.99. I must thank Nick Barnard for having alerted me to this, the whole cycle plus extras for less than one third of the modern equivalent of a single LP of the inexpensive Anthony Collins (Ace of Clubs) and Tauno Hannikainen (World Record Club) recordings from which I got to know Sibelius in the early 1960s. Ive appended Nicks thoughts on this and other download bargains as a supplement to this Roundup and I hope to include some of his other recommendations in coming months. 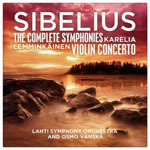 Vänskäs performances of the Second Symphony and Karelia Suite serve as excellent correctives to the recent Naxos recording from the NZSO and Pietari Inkinen which I reviewed in the May 2011/2 Roundup and thought only partly successful. (8.572704: see Brian Reinharts review for a slightly more positive assessment.) Though only one track is at the same 320kb/s as the classicsonline.com version of the Inkinen, the sound is full-bodied. In fact the Amazon recordings come at variable bit rates, from 220kb/s to the full 320kb/s. Very occasionally I noted some slight constriction which I attributed to the mp3 process, but it didnt interfere with my enjoyment. If youre looking for just some of these recordings and in better sound (full 320k mp3 or lossless flac), the best place to go is eclassical.com, who have the original BIS couplings at attractive prices  charged by the second in US dollars. Ive yet to find anything there for more than $9.00: Sibelius Symphonies 2 and 3, for example, run to 74:49 for $8.98, which compares very well with other sites which charge typically £7.99 for mp3 and £9.99 for lossless. Sibelius novices should probably forego the bargain and obtain the symphonies one by one from eclassical.com, where the booklet of notes comes with the deal to add to the attraction  no notes from amazon.co.uk, though they have begun to include them with some of their recent premium releases. The text and translation of Snöfrid, or even its overall gist, are likely to prove elusive unless your Swedish is first-rate, which means purchasing the eclassical.com version for the booklet. Those determined not yet to dip their toes into the download water may wish to note that BIS have released these Vänskä performances of the Complete Symphonies as Volume 12 of their Sibelius Edition (BIS-CD-1933/35, 5 CDs for the price of 3, including both versions of No.5 and performances of some fragments and alternative movements, conducted by Jaakko Kuusisto). Jarosław Malanowicz (organ)*  rec. 1996. DDD. A fascinating glimpse into the music of a time and place under-represented in the catalogue: two Easter Masses and one in honour of the Virgin Mary by little-known Polish late-16th and early-17th-century composers. Im not going to make extravagant claims for the music, performances or recording, but I did very much enjoy hearing this 1996 production, now back on the market on CD and as a download. The music is very attractive  try the Sanctus and Benedictus of the Missa super O Gloriosa Domina - but hardly the equal of Palestrina, Victoria, Monteverdi or Charpentier; the singing is likewise of good workaday standard and the recording more than adequate, though I could have preferred both to be a little fuller and brighter. Theres a degree of vocal insecurity in the closing Agnus Dei of the Gorczycki, the last track of the recording, but otherwise the singing is secure enough. The booklet is informative; the English translation is perfectly comprehensible, if a trifle stilted: missal cycle(s), for example, instead of mass cycle(s). I have taken the Polish word pieśn (literally song) to mean chant in the credits list. Pdf booklet includes sung texts and English translations. rec. Chiesa di San Pietro in Vincoli, Azzago, Verona, Italy, 27 July to 1 August, 2008. DDD. The recordings of Monteverdis Madrigals which Delitiæ Musicæ made for Naxos were a somewhat variable feast. Likewise in Gesualdo: Johan van Veen was impressed by their singing in Book I, but questioned some of their practices  see review. Mark Sealey was more impressed with Book II  see review  and it seems that Naxos are testing the water with (initially) a download-only recording of the Third Book. My view of Book III tends more towards MSs opinion than JVs. This was an age when High Renaissance style gave way to Mannerism in art, and Gesualdos music shares many of its exaggerated characteristic with that style. I enjoyed Delitiæs rather mannered singing of Gesualdo, therefore, more than I did their Monteverdi. The themes and even some of the texts will be familiar from Monteverdi and other madrigal composers, but the heated and intense manner is a speciality of Gesualdos sacred and secular music. You may even find it better to ration your listening  an hour or so of Gesualdo at a time may be too intense. Theres no booklet with texts, as there was with Book I, which is a shame, but the diction is good enough throughout to make out the words, which can be found online (see above), as can some notes on the music  here. The back cover which comes with the download suggests that a CD version is planned. I very much hope that the CD appears soon in order to reach the wider audience of those who resist downloading. This is, as MS suggested, even more adventurous music than that of the first two books and the performances are even more suited to it. Stream from the Naxos Music Library first if you can; otherwise I recommend starting with Book III rather than Book I.
Suites Nos.1-8 were published posthumously in 1696 as A Choice Collection of Lessons and there are several rival recordings and downloads of this collection. Kenneth Gilbert plays a 1681 Vaudry harpsichord from the V&A collection on Orion LAN390, available from classicsonline.com at the attractive price of £4.99, but rather short value at 52:18 by comparison with the Beulah recording which adds three extra works, whose provenance Im unsure of: I cant find them in the Zimmerman catalogue but the music is attractive. Gilberts harpsichord creates a fuller sound than Darts brighter modern instrument and his approach is also bigger to the extent of sounding dogged by comparison. I prefer Darts lighter approach and the Beulah refurbishment of the 1956 Decca recording is preferable: on Orion theres a sharp and disturbing cut-off of the busy ambient sound at the end of each movement. The cut-offs are much less frequent and less noticeable on the Dart recording. Martin Souter on a 1700 Tisserand Harpischord (The Gift of Music CCLCD011  from classicsonline.com) is much lighter than Gilbert  perhaps even a shade too reticent-sounding by comparison with Dart, but I preferred the slightly less forward recording: Dart sounds a bit too bright and up-front by comparison. Souters recording is also offered at £4.99 and the eight Suites are supplemented by a series of short pieces which bring the total time to a respectable 70 minutes. On another budget-price recording Thomas Charlston on a modern reproduction instrument also ekes out the Suites to 64 minutes with short transcriptions and alternative movements. (Naxos 8.553982  from classicsonline.com). This is the quietest, most intimate version of all, reproducing at something like the level of domestic performance on a clavichord, and theres more use of notes inégales. There are some informative notes with this version, too  click the About this Album tab. Of the various choices, Dart appeals not only because he was such an important pioneer in editing, understanding and performing music of this period: his bright up-front closely recorded performances are still highly competitive. Purists may criticise some of his tempi and changes of registration  they did back in 1957  but these make the music more accessible for modern listeners. Gilbert is, surprisingly, too stodgy and the recording fails to do him justice. Charlston is ideal for intimate listening  I think I shall want him and Dart for different moods  but Souter seems to me to offer the ideal compromise between Scylla and Charybdis for repeated listening. Actually thats an unfair metaphor, since neither Darts nor Charlstons version is at all monstrous, and, in any case, I dont think youd want to listen to all eight Suites in one go, let alone eleven. These Thurston Dart recordings will also appear on Beulah Extra as 7-17BX69, available from July 2011, and can be sampled on YouTube  here. Among the Beulah Extra releases for July are also Thurston Darts Handel Harpsichord Suites 1-4 (18-21BX69). Beulah are also about to release an album of Peter Dawson in Classical Mood, ranging from Handel (including Honour and arms, inevitably) to selections from Vaughan Williams Songs of Travel. (1PD53 from iTunes supplemented by Beulah Extra 12BX53  Stanford Songs of the Sea - and 13BX53  Bevan The Admirals Broom. Alfred Brendel (piano)  rec.1992. DDD. I recently reviewed Thomas Sauers MSR recording of these three sonatas for the main MusicWeb International pages (MS1284) and found myself wanting something more than Sauers performances  excellent as far as they go in conveying every note on the page, but not personal enough or adventurous enough for my liking. I found what I wanted, as I had expected, in these Brendel performances, no longer available separately on CD; though you could do much worse than buy the complete set, the download from passionato.com in good mp3 offers a good alternative. Unless you are a sworn enemy of what some consider to be Brendels agogic tendency  considerable use of rubato  this is the version to have. Fearing that I might have been too hard on Sauer, I asked a former colleague, Geoffrey Molyneux (hereafter GM), a music teacher who has forgotten more about pianism than I ever knew, for his opinion. While agreeing with me about Sauer and preferring Brendel, his recommendation was for Bernard Roberts or for Barenboim on DVD. DVD is outside the remit of this Roundup, but I listened to Roberts in the Tempest Sonata, Op.31/2, via the Naxos Music Library, and was sufficiently impressed to wish to sample his Beethoven further from the complete 11-CD set (Nimbus NI1774  purchase CDs from Musicweb-International, download from classicsonline.com or stream from Naxos Music Library). I should point out that its unfortunately  and most unusually  the case that the classicsonline.com download costs more than twice as much as most suppliers charge for the CDs. Ive requested a review copy of the CD set [just received as I convert this review to html] and look forward to writing about it on the main MWI pages  hopefully as a two-hander with GM  in the near future. London Symphony Orchestra/Kirill Kondrashin  rec. 1961, 1963. ADD. Reviewing a recent Newton Classics reissue of Byron Janis performing the Liszt Concertos with Kirill Kondrashin (8802058  see review) I found myself marginally preferring this Richter recording, again with Kondrashin, now with the addition of three fine recordings of Beethoven Piano Sonatas in Philips Top 50 series. Christopher Howell described these as among the greatest performances these concertos have ever had  see review  and thats my verdict, too. Passionato.com also have the earlier reissue, coupling the Concertos with the Liszt Piano Sonata, which some will prefer (446 2002), especially as its available in mp3 and lossless. rec. DZZ Studio 5, Moscow, June 2010. DDD. Pdf booklet included with purchase. This must be the quietest opening that Ive ever heard for the Fifth Symphony. Even after things begin to warm up a little, Pletnev never seems really to engage with the music, as if hes trying to hold any emotional involvement at arms length, so that the first movement only momentarily catches fire. By the end of the movement, Im sorry to say that I, too, had become disengaged  from the performance, not the music. Amazingly, Pletnev takes only a few seconds longer than Mravinsky in either of his DG recordings or Szell, yet it seems like an eternity longer, proving once again that its not the stopwatch that counts so much as the momentum (or lack of it) which the conductor generates. A slow movement should be slow, but once again here I felt that conductor and orchestra were trying to make a point about how languid they could be  or had just played this music so often that they were simply feeling bored. In this case the stopwatch does tell part of the story, with the new recording taking two minutes longer than either Mravinsky recording and a minute longer than Szell. Everything comes briefly to life when the Fate motif blazes out, but thats all. The other two movements follow the same pattern: only at the very end of the Finale does the performance come to life. You could say that Pletnev has been saving his big guns, but a few minutes of real Tchaikovskian excitement wouldnt atone for the preceding forty minutes. A strong account of Francesca da Rimini, with all the energy thats lacking in the Symphony, cannot atone, either. The choice is clear, then, as far as Im concerned: if you can take the dated recording and idiosyncratic Russian playing of the time, either of Mravinskys performances, both offered in packages of Symphonies 4-6 from passionato.com: DG 419 7452 (1960)  here  or DG Originals 447 4232 (1956, with Sanderling)  here. The Amazon version of the 1960 set (477 5911) which I recommended in the April 2010 Roundup has now gone up to £7.49  here  but is still less expensive than the passionato, though the mp3 is at a lower bit-rate and there is no lossless version. HMV Digital have the Szell  just the Symphony alone for £3.16, without the Capriccio Italien with which it was most recently coupled on a CD which seems to have been deleted in the UK (82876 787442: Bargain of the Month  see review). Rob Barnetts recent review suggests that Pletnevs 1990s version of the Fifth Symphony included in the DG budget-price box set (477 8699) suffers far less from the extremes of interpretation than the PentaTone version. Tuneful and attractive music in an idiomatic performance and sound which belies its age: even though its a mono recording, theres plenty of air around the music. This kind of blast from the past is most welcome, since I could find only two current CD versions of the complete ballet, both elderly recordings (Classics for Pleasure 5861782, 2 CDs with Hérold La Fille mal gardée and Richard Bonynge on Eloquence 476 2448)  why do we get so little of these lighter classics on modern recordings? Passionato.com have the Mackerras recording as a download in a coupling with Delibes and Gounod on EMI Encore 5752212  here. Danny Driver (piano)  rec. 15-17 July 2010 (Dale) & 18 December 2010 (Bowen), Henry Wood Hall, London, UK. DDD. Danny Drivers recent Balakirev recital  review  impressed me enormously, so I wasted no time downloading this new release when it appeared. He has already recorded the Bowen Piano Sonatas (CDA67551/2) and Third and Fourth Piano Concertos (CDA67659) to well-deserved acclaim. In terms of its ambitious structure and technical peaks, Benjamin Dales Piano Sonata must surely draw comparisons with Liszts B minor behemoth; yet there a tough, entirely individual, musical intelligence at work here. Well two actually, for Drivers no slouch either; indeed, his control of dynamics, rhythm and colour is just astonishing. Add a typically fine recording and this becomes my DISCOVERY OF THE MONTH. The Sonata ranges far and wide, from the animated opening Allegro deciso  a mix of sinew and sweep  through to the moody, rather skeletal Adagio and its five variations. Theres a clarity of utterance here, a directness, that Driver brings out most beautifully, and yet theres a rich, late Romantic seam to be mined here too; just sample the gentle radiance of the second variation, essayed with remarkable fluency and grace. The point and sparkle of Variations 3 and 5 is no less beguiling, and Driver never allows the restless, dark-toned No. 4 to become self-indulgent. These all-important qualities also inform his Balakirev recital, confirming him as a pianist of rare sensitivity and good judgment. And it just gets better, the free-flowing Andante and Finale as fiercely focused and confident as anything the Abbé ever wrote. Indeed, the blend of energy and inwardness in the latter encapsulates everything that makes this release so rewarding  rare but highly original music played with an advocacy and commitment most composers can only dream of. As for the little Prunella, I doubt shes ever sounded so charming, or the mood of Night Fancies so pensive; in the latter, Driver conjures up some of the most gorgeous sounds imaginable, the dying moments especially memorable. By contrast, Bowens Miniature Suite is more nakedly virtuosic; cast in three movements  Humoresque, Nocturne and Scherzo: Finale  it all seems to pass in a burst of energy and light. It certainly allows Driver to display his wilder side, which he does with all the flair and confidence Ive come to expect of him. As before, rhythms are taut, articulation pin sharp and proportions well judged. Theres some introspection in Humoresque  dedicated to Dale  the Catherine-wheel-like finale despatched with breathtaking brio. What a find! Factor in excellent liner-notes, an idiot-proof download process and exemplary sound and you have a cracker. Absolutely not to be missed. pdf booklet with notes and texts available. This new Hyperion recording of Howellss Winchester Service, stylishly performed by the choir for which it was intended, and other rarely performed late works is not only welcome for itself but also as an excuse, as if one were needed, to look at some other recordings of Howellss music. Theres just enough of the former student of Stanford to appeal to lovers of more traditional church music, combined with a spice or two of the late twentieth century  though nothing too avant-garde  to attract others. Mostly the music is gentle and caressing, but there are moments of drama, too. Either of these fine Hyperion recordings could well form the basis of a Howells collection: youll soon want to add the other and you can do so without any duplication. Ive listed some other excellent recordings of his choral music below, but most of these involve some duplication of material on one or other of the Hyperion discs or with each other  perhaps not a major problem when the music is so fine and the performances so good. John Quinn made the Wells programme a well-deserved Recording of the Month  see review. Sinfonia of London/Richard Hickox  rec. October 1992. DDD. London Symphony Orchestra/Richard Hickox  rec. 1995 and 1997. DDD. Howellss orchestral music may be less distinctive than his choral output, but its still very attractive and its hardly likely to receive better performances than these two Chandos releases  the second extremely good value in its 2-for-1 reissued form  which I briefly recommended in the January and February 2009 Roundups. After the two Hyperion choral recordings and the chamber music (below), these are essential Howells purchases. rec. Watford Colosseum, UK, 22-23 May 2000. DDD. CHANDOS CHAN9874 [70:52]  from theclassicalshop.net (mp3 and lossless). I reviewed the Chandos recording in the January 2010 Roundup, echoing Hubert Culots very positive review. (See also 4-star review by Terry Barfoot  here  and review by Rob Barnett  here.) The link which I then gave to passionato.com is no longer valid, but theres no reason not to purchase from Chandoss own site at theclassicalshop.net. Im alarmed to see how much material has been lost from the passionato.com site in recent weeks, including, it seems, the whole Chandos label. The inexpensive Hyperion recording offers an excellent alternative version of the Concerto for string orchestra (see above) and the Second Piano Concerto, together with the Dances for violin and orchestra. Christopher Howell praised the performances, though the Concerto for string orchestra failed to make an impression on him  see review. While I tend to the view that Howellss best music is for choir, I share CHs high opinion of the performances without sharing his low opinion of some of the music. Divertimenti: (Paul Barritt (violin); Rachel Isserlis (violin); Gustav Clarkson (viola); Sebastian Comberti (cello))  rec. 1984. DDD. I recommended these recordings, too, in the February 2009 Roundup*, but its worth repeating my recommendation and again drawing your attention to reviews of the parent Lyrita CD by Em Marshall  here  and John Quinn  here  and of the Hyperion by John France  here. Howellss chamber music is as distinctively beautiful yet challenging as his choral works  Id place both just ahead of the orchestral works, but its a close call when all his music is so accomplished. The eMusic version of the Lyrita comes at variable bit-rates, without booklet, and now costs new subscribers more than it did before, but its still worth considering as a less expensive alternative to the CD at £2.10 or less. The Hyperion has reverted from the Helios label to full price and the CD is available only from the Archive service, but the download, at £7.99, is offered in good lossless sound as well as mp3 and the booklet comes with the deal. O ye of little faith, why did you not snap this wonderful recording up in sufficient numbers when it was at budget price? I did (says he smugly) but I also checked the lossless download and found it to be excellent. * What I wrote then about the iTunes download being more expensive than the CD no longer applies if you download direct from Hyperion. 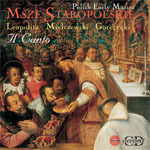 MÉTIER MSVCD92003 [52:40]  from theclassicalshop.net (mp3 and lossless) or classicsonline.com (mp3) or stream from Naxos Music Library. Includes pdf booklet of notes. This rival version of the Rhapsodic Quintet has received sufficient praise from Rob Barnett  here  John Quinn  here  and Terry Barfoot  here  to need no more from me. Coupling must decide between this, the Lyrita and Métier versions. Theres also an excellent version on Hyperions budget Helios label, from Thea King and the Britten String Quartet, coupled with Clarinet Quintets by Arnold Cooke, Elizabeth Maconchy and Benjamin Frankel and Joseph Holbrookes Eilean Shona (CDH55105  download from hyperion-records.co.uk). the classicsonline downloads are in good mp3 sound but the Hyperion is also available as a lossless download at no extra cost. Robert Costin (organ of Dunedin Town Hall, NZ)  rec. 2006. Information on this download is sparse and even the Atoll website is not very forthcoming about venue and date: I had to go to Robert Costins homepage to ascertain that the organ is that of Dunedin Town Hall, recorded in April 2006. That apart, this is a first class recording and its offered at the bargain price of £4.99 as a download. I should point out that Robert Costin is a MusicWeb International reviewer. Amazon.co.uk and theclassicalshop.net both have the five volumes of Howellss Morning and Evening Services and two volumes of his organ music, all on the Priory label and in lossless as well as mp3 from theclassicalshop. These have been generally well received, but I dont have any review access to Amazon or to Priory recordings from theclassicalshop to add a personal recommendation. New College Choir, Oxford/Edward Higginbottom  rec.1990. DDD. Choir of Kings College, Cambridge/Stephen Cleobury  rec 1989. DDD. Tristan Russcher (organ)  rec. St Bartholomews Church, Dublin, 22-24 February 2008. DDD. CRD: This is the second of two fine recordings which New College Choir made, but its predecessor, CRD3454, is apparently not available from passionato.com. Amazon.co.uk offer only the first volume  here  so between the two you can download both volumes. Cleobury: Like Terry Barfoot, I would have welcomed a fuller choral tone, but, like him too, I found the Decca British Composers collection very satisfying  see review. The Passionato mp3 transfer is good, too, and, though there are no texts, these are mostly easy to obtain from the traditional 1662 Book of Common Prayer. Now that the CD appears to have fallen to the deletions axe, the download is all the more welcome. Signum: this duplicates the Missa Ædis Christi from CRD3455 but contains some interesting works not available on other recordings, of which only Hills of the North struck me as less attractive than the setting in The English Hymnal. The Dublin choir proves that Howells music can be successfully exported and the performances, interspersed with organ pieces, are idiomatic. For a full appreciation, please see the review by John Quinn  here: as so often occurs, he might have taken the words out of my mouth. The Naxos Music Library version sounds fine, the classicsonline download even better. London Symphony Orchestra/Gennady Rozhdestvensky  rec. 1994 and 1995. DDD. Pdf booklet available with texts and translations. The Finzi Singers/Paul Spicer  rec. 1992-1996. DDD. CHAN241-34 is a less essential purchase, mainly because so much of the music has been duplicated, though not superseded, on other recordings. Howells completists will want it and others may find that at the attractive 2-for-1 price it makes a preferable alternative to other recordings. Its a measure of the welcome attention which recording companies, Chandos and Hyperion in particular, have given to Howellss music that I can list such a fine recording as an honourable also-ran. Iain Farrington (organ); St. Johns College Choir, Cambridge/Christopher Robinson  rec. 1999 (?) DDD. No booklet or texts, but a set of notes about this album available. NAXOS 8.554659 [75:37]  from classicsonline.com (mp3) or stream from Naxos Music Library. COLLEGIUM COLCD118 [72:22]  from classicsonline.com (mp3) or stream from Naxos Music Library. The Naxos recording marked the beginning of a fruitful partnership with St Johns. It contains versions of the Requiem and Take him, earth which are more than capable of competing with its rivals and, at Naxos price, CD and download are on a par price-wise with the Chandos twofer which contains those works (CHAN241-34, above). Both are good enough and there is so little overlap between them, however, that you could download both and still have change from the price of a full-price CD. The Collegium recording offers yet another excellent way to obtain an evocative performance of the Requiem, this time enterprisingly coupled with the music of Howellss teacher Stanford, whose music is beginning to be appreciated again but still needs all the advocacy that it can get. Rutter is a great admirer of Howellss music and these performances clearly demonstrate his commitment. The opening Stanford Magnificat receives a slightly over-reverential treatment, but this is nevertheless a welcome recording of both composers. SIGNUM SIGCD190 [69:02]  from classicsonline.com (mp3) or stream from Naxos Music Library. Once again there are overlaps with other recommended recordings but there are also some works not included elsewhere, such as the Dallas Canticles. The mix of secular music works well  too often Howells is seen as just a composer of church music. The performances and recording are too good for this to be regarded as an also-ran, so Im surprised that we seem not to have reviewed the parent CD. Choir of St Johns College, Cambridge/Andrew Nethsingha  rec. 2009. DDD. Claire Rutter (soprano); James Gilchrist (tenor); Bach Choir; Bournemouth Symphony Orchestra/David Hill  rec. 2006. DDD. Julie Kennard (soprano); John Mark Ainsley (tenor) Royal Liverpool Philharmonic Choir; Royal Liverpool Philharmonic Orchestra/Vernon Handley  rec. 1992. DDD. * The passionato.com link no longer applies. Christopher Dearnley (organ); The Choir of St Pauls Cathedral/John Scott  rec.1988. DDD. This serves as a reminder that the format of the Evensong canticles  Magnificat from Vespers and Te Deum from Compline  need not be restrictive: theres a variety of styles here, not all placid and contemplative. The St Pauls Choir under John Scott is as sure a guide to authenticity of performance in this repertoire as their Westminster Cathedral counterparts in Victoria. This is well worth having at its new budget price, even if it means duplicating the Howells settings. rec. RBB Studios, Berlin March 24/25, 2010. DDD. This is emphatically not easy-listening jazz, nor will these avant-garde arrangements necessarily appeal to purist fans of Charles Mingus. Try it first from the Naxos Music Library, however, and let it grow on you. Despite the similarity of the titles, these are two quite separate recordings, with no overlap. The Yellowbird download is especially good value at £4.99. In my ongoing hunt for a bargain in any format I have recently come across some unheralded re-releases on Amazon (and other sites in similar layout I assume) of some remarkable compilations. Many collectors will have seen the uninspiring titles and artwork for most of these downloads and passed by on the other side of the road. That was my initial inclination  especially given Amazons pre-disposition with such items NOT to list artists, bit-rates or indeed almost any useful information on the download page. But I dipped a toe and chose one selection and have been so impressed that several others have followed and my initial impression of fantastic value boasting many fine performances is confirmed. Before getting onto specific albums a few general observations. Most collectors will be concerned about bleeding chunks. Not so here  every work with one exception, whether symphony, concerto, sonata or quartet is presented complete. The only departure from this rule is when a series of piano works are represented by a selection  the Grieg Lyric Pieces is an instance. With the exception of the clearly historical tracks bit rates are mainly around an acceptable 220+ kps. Many I know would like higher or indeed lossless but at the price point offered  usually the equivalent of a single Naxos disc  this is good enough for me. Much of the repertoire is still available at a higher price in versions from the original label. I have not been able to compare files like for like but cannot complain about the cheaper versions on technical grounds. Mixed in with the many fine performances there are routine and occasionally poor items  in the selections I have chosen the good significantly outweigh the bad. In any case I also subscribe to the opinion that you can often learn a lot about a piece from a poor performance if only by highlighting the good! The bulk of the best performances seem to have been licensed from VOX or BIS. The VOX items are sonically inferior to BIS but it has been a good chance to reacquaint myself with some old friends.
" The title alone smacks of the worst kind of poorly compiled bleeding chunks and indeed under the umbrella of this series there are just such aberrations. But dig a little deeper mainly into composer specific titles and some treasures appear. Specifically I have found The 99 Most Essential Saint-Saëns Masterpieces a winner in almost every regard. This is heavily sourced from BIS. With the exception of a heavy-handed unsmiling Russian Carnival of the animals the bulk of the set is stunning. Principal works are: 4 of the 5 Symphonies (only No.1 is missing)  No.3 is very impressive with exciting playing and recording, Violin Concerti 1-3 (Kantarow in stunning form), Cello Concerti 1 and 2, Piano Concertos 1 and 2, Various concertante works  some pops but lots of interesting rare stuff too, Danse Macabre, La Muse et le Poète, solo organ music  (this is the discovery of the set for me: really beautiful music atmospherically recorded by Hans Fagius), Clarinet Sonata  a total of 9:46:04 of music for £4.99. Only the string chamber works and the operas (there are a couple of Samson et Dalila excerpts) are missing. Along similar lines is The 99 Most Essential Grieg Masterpieces. Here the orchestral performances are more varied ranging from the exceptionally fine  BIS-sourced Bergen PO Symphonic Dances, Norwegian Dances, Sigurd Jorsalfar etc., to a routine Peer Gynt and Piano Concerto but with a rather good Holberg Suite from the Slovak Philharmonic. The stand-out works here are the chamber items. All 3 Violin Sonatas are included  Nos. 1 and 2 from Dong-Suk Kang especially fine. But there is also the Cello Sonata and the Piano Sonata and the curious String Quartet. The Sonata is by pianist Eva Knardahl and taken from the BIS complete piano works set  as are the other solo piano works here played by Love Derwinger. Some of the beautiful Grieg songs are here too including the superb cycle Haugtussa  which is this sets discovery for me  again fine BIS sourced performances from Monica Groop and Love Derwinger. This time you get a mere 8:02:19 but again for just £4.99. Never listen to half the set, dislike half the remainder and its still fantastic value! In less detail but worth looking at are The 99 Most Essential Schubert Masterpieces and The 99 Most Essential Brahms Masterpieces. The former has a good mix of orchestral  BIS sourced symphonies from Järvi and the Stockholm Sinfonietta  and chamber. The latter includes the famous later quartets and the piano trios respectably performed by the Arion Trio and a good selection of piano music  VOX sourced Im almost certain  from the likes of Walter Klien, Peter Frankl and Alfred Brendel. The Octet, Trout Quintet and the sublime String Quintet are here too. Oddly the incomplete work is a Winterreise. Throughout all these compilations there is evidence of some real care and thought, evidenced here by the inclusion of the rare Fierrabras Overture and the quirky Rondo for violin and string quartet. There is even one of the Masses from a Russian choir. I like the fact the selection closes with Björling singing Die Forelle  a lovely sweet-meat to finish with. Performance quality IS more variable here but hey at £2.69  yes that is right not a typo  for 13:41:36 (yes thirteen + hours of music) are you really going to ask for a refund? The Brahms set is not anything like on this level  but even here I find the slow and rather massive approach to the symphonies by the Berlin SO and Eduardo Marturet quite compelling once you get into the basic concept  No.1 is awful though; a sloppy live performance. Highlights of this set are the Aaron Rosand Violin Concerto and three Violin Sonatas. These latter are easily worth the cost of admission alone. Good versions of the Piano Trios too from the Kalichstein-Laredo-Robinson trio. No string quartets here but good Viola Sonatas and respectable concertos  I liked the Piano Concertos more than when they were reviewed here. But again at £4.99 I find it hard to complain when average performances piggy-back in with some rather special ones. The last of these compilations which is a real winner is The 99 Most Essential Cello Masterpieces. Probably the best of the lot this includes ALL the core repertoire cello concertos including those by Dvořák, Elgar, Saint-Saëns (No.1), Haydn (Nos. 1 and 2)/ Shostakovich (No.1), Prokofiev (Cello-Symphony), Britten, Miaskovsky, Khachaturian, Tchaikovsky (Rococo Variations), Schumann, Bruch (Kol Nidrei) and so on. Add a couple of Bach cello suites (in very well received performances), a Britten Suite, the ubiquitous Swan and Sonatas by Debussy, Chopin, Rachmaninov and other odds and ends and you will see this is a one-stop-shop for cello repertoire! Many of the performances, both concertos and chamber, are BIS-sourced, featuring cellist Torleif Thedéen. Those that are not are idiomatically played by their respective soloists. Since most of the music here is well-known there is less that is revelatory but the quality of performances and recordings are consistently the highest with no major duds and several really superb performances. Just the 12:38:09 of music here for your £4.99! Of the above; the Grieg is stunning  effectively 6 of the 8 discs from the Bergen Philharmonic Orchestras collected orchestral works. Only the complete Peer Gynt and the opera fragments are missing. These performances go straight to the top of my list for this repertoire. The Tchaikovsky set I recently reviewed and was disappointed with. BUT, I caveated that the smaller rare works were well worth hearing. Great chance to buy the lot here for a give away price and never bother with the symphonies more than once! Glière: Harp Concerto  Symphony No. 3  Chrizis (£4.99)  this is the old Ilya Murometz from the EMI/Melodiya days played by Nathan Rachlin and the Moscow Radio SO. It might not be totally complete but what a blood and thunder performance. Add an idiomatic Harp Concerto and the otherwise unavailable (I think) ballet music Chrizis and this is a great find. For those who lament the loss of being able to browse online using the various search options within these online stores does allow this kind of unexpected discovery  none of albums above were searched for initially  so all were doubly enjoyable for that special frisson of discovering a hidden bargain. There are other similar products waiting to be found but the measure of interest will depend on an individuals musical taste. To my mind these offer collectors both experienced and new a superb way of investigating a vast amount of wonderful music at absurdly low cost  the CFP LPs of my youth at 99p now seem expensive!